Mumbai: The combination of a Rs32,000 crore economic stimulus package, a 10% cut in retail fuel prices and big cuts in rates by the Reserve Bank of India (RBI) saw Indian stock markets rise modestly even as key Asian markets soared in anticipation of more such announcements in China as well as US President-elect Barack Obama’s plans for a large infrastructure-building national works programme. The Bombay Stock Exchange’s bellwether index Sensex surrendered early gains as investors chose to book profits and closed at 9,162.62, up 197 points, or 2.2%. 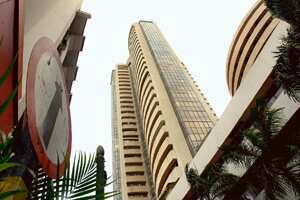 The broader 50-stock index, Nifty, gained 2.56% or 69.60 points to close at 2784 points. Earlier, among the Asian indices, the Hang Seng was the biggest gainer with 8.66% while the Kospi index gained 7.48%. In Japan, the Nikkei rose 5.20%. Brokers, analysts and fund managers that Mint spoke to on Monday maintained that the overall impact of policy measures on the stock market is positive, mainly on sentiments, though marginal. They also said they expect more such booster shots from the Indian government as well as more rate cuts by RBI. Rashesh Shah, chairman and chief executive of institutional brokerage Edelweiss Capital Ltd, said while the current package helps, it wouldn’t be the last such measure. Echoing the sentiment, Sanjay Sinha, chief executive of domestic mutual fund DBS Cholamandalam Asset Management Ltd, which manages Rs150 crore worth of equities, said the government’s announcements should translate to the companies getting easier access to credit for the markets to stabilize, and that there could be larger measure from the central bank in January. “This is a confidence booster; however, it may not be sufficient," said N. Mohan Raj, executive director of investment operations at the Life Insurance Corp of India Ltd, or LIC, and who manages the biggest portfolio in local equities. LIC, which is also India’s largest lender to companies, on Monday announced it would invest Rs11,000 crore in Indian stocks by March, taking its investment in secondary markets for fiscal 2008-09 to Rs40,000 crore. Some fund managers and brokers say they expect the peaking of foreign institutional investors (FIIs) selling domestic stocks by December. Going by the provisional date released by the BSE, FIIs bought Indian stocks worth $70.65 million on Monday, net of selling. FIIs, the main driver of Indian stock market, have taken out $13.7 billion this year after investing $17.36 billion in 2007. In a report on Monday, Sonal Varma, economist at Japanese investment bank Nomura Financial Advisory and Securities (India) Pvt Ltd, wrote the firm expects “the government to continue to announce incremental fiscal policy measures aimed at specific vulnerable sectors and a much larger fiscal stimulus to be announced next year to offset the fall in private investments in financial year 2010". The good news, she said, is that inflation is likely to continue to fall at an accelerated pace due to falling commodity prices, rising economic slack and a high base effect. Both Sensex and Nifty so far have lost close to 55% each this year.